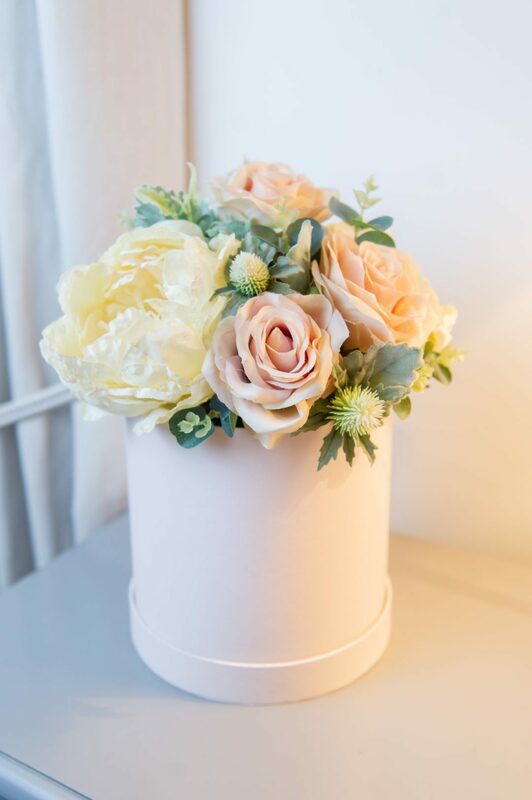 New to Jane Maples Flowers are these cute luxury faux flowers, arranged and presented in beautiful hat boxes. These arrangements are investment pieces for the home and make wonderful gifts. This is Barely Blush. A blend of neutral tone peonies, thistles and roses, mixed with eucalyptus and seneccio foliage’s. 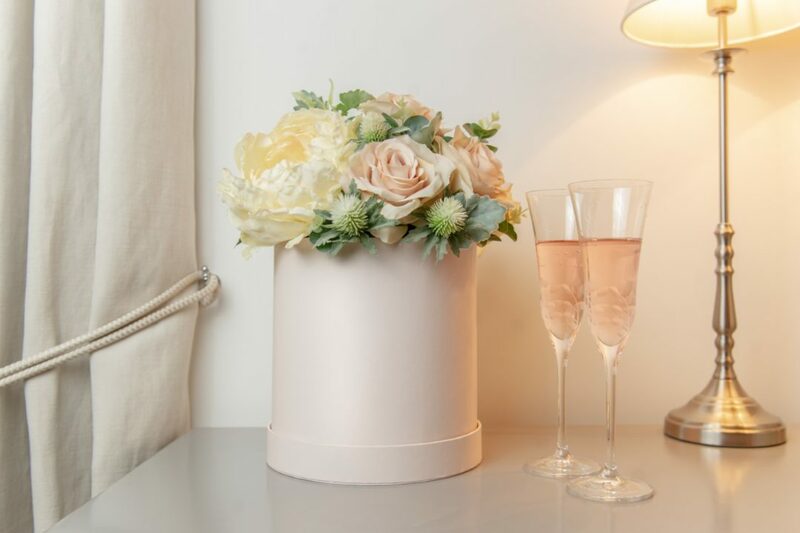 This arrangement is perfect for a soft bedroom, or living room with its soft and warm colour palette.